Until recently, I hadn’t really given the Rover Streetwise much thought. I remember it being launched back in 2003, and I recall driving one of the earliest examples in the country when it first came out, and finding it – at worst – inoffensive. Quick, but noisy thanks to its L-Series diesel engine, and with a soft but pleasantly compliant ride. It didn’t handle as sharply as the 25, which was a car I secretly liked (as a mainstream automotive journalist at the time, publically liking Rover 25s was frowned upon by the masses, and in my opinion therein lies part of Rover’s downfall…), but it was a fairly likeable package overall, and MG Rover’s attempts to beef up the styling and add in some funky and chunky accessories at least gave the ageing base car a bit more showroom appeal. You see, I’d been in Paris all week on business, with she who must be admired joining me on the Friday evening via Eurostar. During the previous few days, I’d walked (as I do in any city) for miles and miles, taking in the sights, the atmosphere and, of course, the local transport. That week, I saw more Rover Streetwises than I’ve seen in England in the past couple of years. 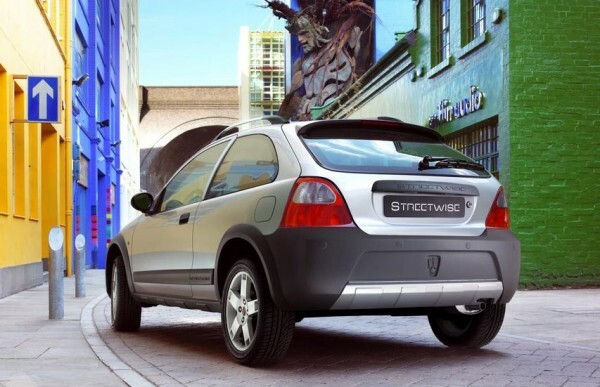 Indeed, the Streetwise must be one of those cars that’s currently high on the danger list – 10-12 years old, of very low value and attached to a brand that, whether we like it or not, is largely unloved by the general public. In Paris, though, the car has oodles of appeal – a fact proven by the fact that one I example I witnessed was for sale for 4,500 Euros. That’s about £3,750 in Sterling – and it’s a long time since even the smartest of Streetwises would have cost you that much here. With its raised ride height, compact dimensions, well-appointed cabin and (most importantly) unpainted bumpers, the Streetwise is the perfect car for the Parisian sprawl. Whilst every other car on the French capital’s streets sports a scar, a gash or a knock or two, all of the Streetwises I saw were looking, well, pretty Streetwise – not least because the chunky plastic cladding had helped protect them thoroughly all round. 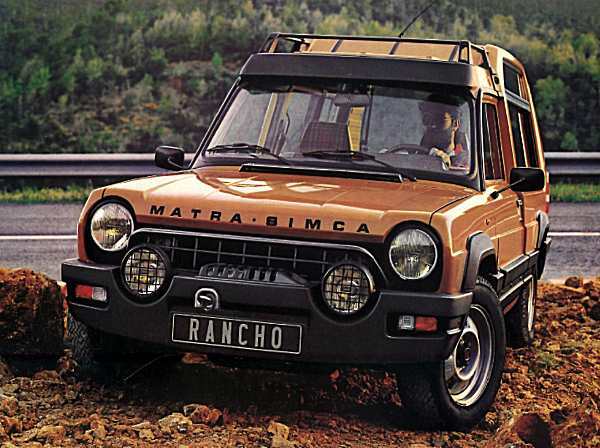 But then, this was the country that gave us the Matra Rancho – and, if any car was the Streetwise’s spiritual predecessor, that was it. France’s own Streetwise? Did Matra come up with the Streetwise concept 20 two decades sooner? 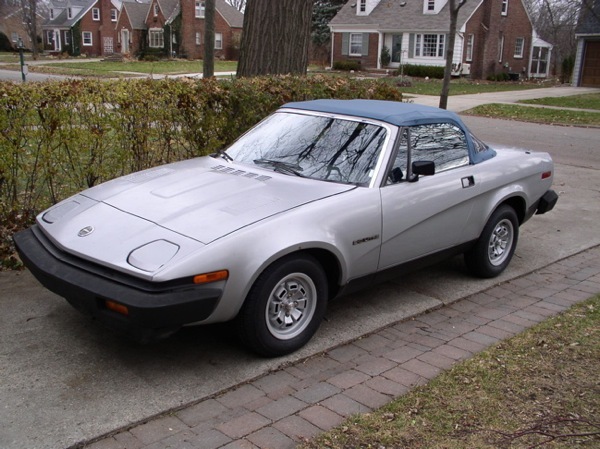 As a city car, then, the Streetwise was a much bigger hit than it was given credit for when new. At the time of its launch, many cynics berated it for being an ‘off-roader’ that went anywhere but off-road. Rover, itself, referred to the car as an ‘Urban On-Roader’, which probably didn’t do it any major favours. Interestingly, though, nobody was quick to draw the daggers when, a year after the Rover’s launch, VW unleashed the Polo Dune – a car with similar dimensions and an almost identical raison d’etre, which featured in lots of marketing shots with skis mounted on the roof despite having appalling grip in snowy conditions. Marketing, it seems, was what it was all about. Wind the clock forward over a decade, and there’s no shortage of models out there with chunky bumpers, raised ride height and beefy, macho, pseudo off-roader marketing campaigns behind them. Indeed, the very same journalists that threw rocks at Rover for creating a car that the market ‘didn’t need’ are now thrusting laurel wreaths at the almighty Skoda Yeti – a car that has won more individual awards than any other despite having a silly name and being almost identical in concept to the original Streetwise. There are many others, too – the Kia Soul, Nissan Juke and Vauxhall Mokka, for example, all have something of the Streetwise about them, and this is the fastest growing sector of the car market today. If MG Rover had just had a little bit more money left in the marketing pot when they brought it to market, the Streetwise story could have been very different. 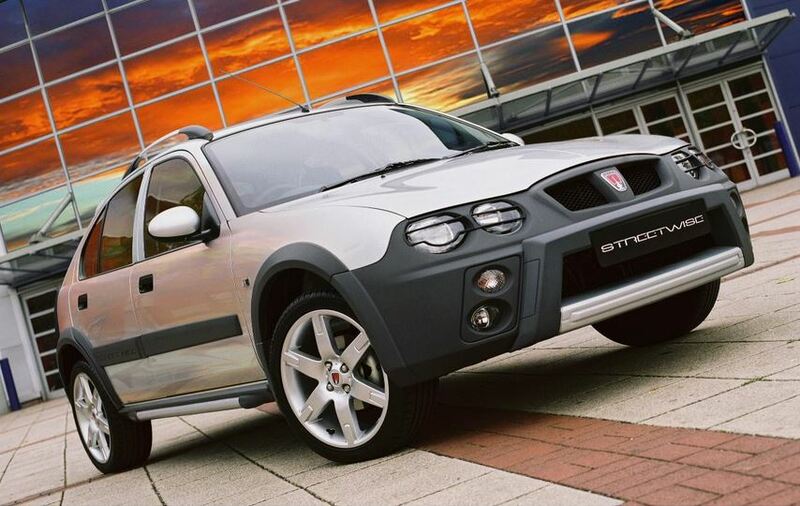 Had the equally chunky TCV concept, unveiled in 2002, have ever become more than just a styling study, likewise. For despite the Streetwise’s shortcomings against its contemporaries (notably its cramped cabin, dated fascia and unrefined diesel engines), time has shown us that the market was, indeed, crying out for a car of this ilk. And for once, rather than turning up late to the party, MG Rover was unfortunately there before the other guests arrived. So was the Streetwise really a car well ahead of its time, and as such, should it be remembered as a classic? Mas oui, monsieur. I think so, anyway. So much so that I’m almost tempted to buy one. I always liked the Streetwise and was actually quite excited when an MG Rover Group press demo example powered by the L Series diesel engine and decked out with all the accessories arrived for me to evaluate in January 2004. As I drove around in it, Exeter’s ‘yoof’ were taking a curious interest in it with its 17-inch Addendum alloy wheels, silver finish pseudo running board ‘tubes’ in the side mouldings, a ribbed roof spoiler, lamp guards and front nudge bar. It was certainly a head-turner although for me was the delight of how practical it was. I also liked the L series diesel for its eager torque delivery and good economy; something I still enjoy today in a late build MG ZR. Inside were the two individual rear seats with a centre tray separating them, a la Freelander Softback, some neat black onyx and silver detailing for the dashboard fascia and a new floor console and half leather sports seats. It was certainly a creative step or two on from the Rover 25 and MG ZR. Like you, I think the Streetwise was a missed opportunity and a lack of proactive and consistent marketing did it no favours. However, visit Spain and there was a great television advert to promote it, complete with a chase scene! One thing that always made me smile was when I was asked if it had four-wheel drive. When I replied “No”, people suddenly thought it to be a pointless concept. I argued the point that it was a good concept due to it not having the high running costs, heavy steering, large turning circle and poor rear visibility of a conventional off-road vehicle. Moreover, over ninety per cent of off-road vehicles did not need four-wheel drive because they never actually ventured off the tarmac. However, the Streetwise still had the rufty-tufty looks and a slightly higher driving position with good all-round visibility of a small off-road vehicle. I do occasionally have a hankering to own one as an every day example, preferably a 2005 2.0 TD SE finished in Ignition Blue and sporting five doors because the rear door quarter light pillar emphasises its height more. However, the garage is already full and I already have other projects demanding my attention. Miss mine – the snow got the better of it, not to mention me! If only I knew how to embed an image! Incidentally, the road’s where the RAV4 is. You don’t necessarily need 4 wheel drive to go off road anyway – chunky tyres, high clearance and independent suspension will go a long way if you do need to. I remember playing around off road in a two wheel drive Freelander 2, expecting it to be completely hopeless, but was pleasantly surprised at how capable it actually was. Obviously it wasn’t as capable as a 4 wheel drive version, but if you planned your route well enough it’d still do a good job at trying to keep up with the 4 wheel driver. Apparently the Streetwise also sold reasonably well in Russia, with owners liking it for its performance over rough road surfaces. I’m surprised to admit that I don’t think they look as embarrassing now as I thought when they first appeared. Maybe they were ahead of their time after all. I did think the Streetwise looked strange when they first appeared. Nice to see the Rancho mentioned, especially as they were a good 15-20 years ahead of their time in some ways, not including roofproofing though! I thought about this article because originally I felt the Streetwide was a joke. then I noticed the VW and Citroen C3 equivalents. Trouble is i still thought they were a joke. The concept has been modfieid somewhat. The Yeti is nothing like the Streetwise (in 4×4 guise it’s more like the Freelander 1) but there is now a rnage of cars that are doing the same thing, but taller: the Juke and the Ford Ecosport come to mind. And they make me laugh still. The closest to the Streetwise is the Dacia Stepway, while the sensible evolution is the Citroen C4 Cactus. Absolutely foresaw the advent of the ‘crossover’ SUV popularity boom of the last decade. When every car suddenly becomes an SUV. Hatchback? SUV (Qashqai) Coupe? 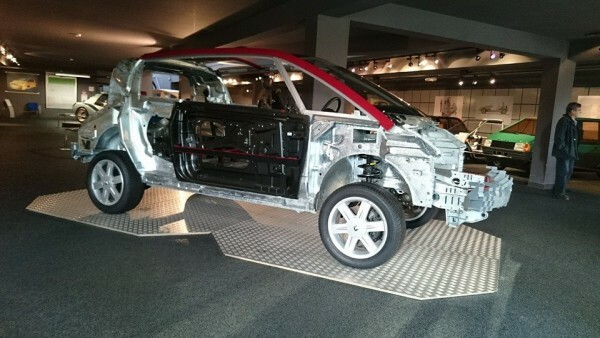 SUV (Paceman / Juke) Saloon car? SUV (Outlander) Estate car? SUV (Forester) etc. etc. How very interesting: this car looks better today, than it did when it was launched!!! I wonder if this, though, is just a function of how hideous most modern cars are? One was a prize on Richard and Judy ten years ago. Think this concept would have worked well on the maestro? I well remember the Matra- Simca Rancho, we had a Simca 1100 van in our fleet at the time- one day father came home and announced he’d just seen a deLuxe version of our van with plastic bits stuck all over it! 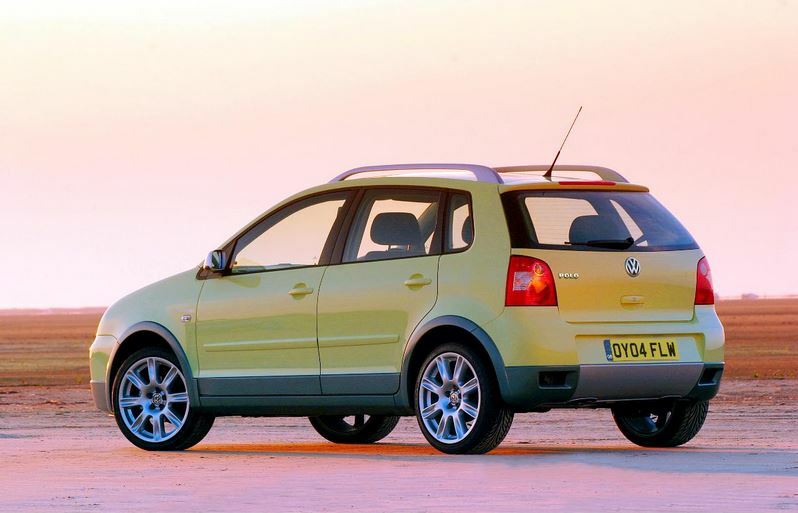 @ Chris C, the Suzuki SX4 has always been an interesting car, a Nissan Qashqai competitor for less money and a rarer sight. Indeed Suzuki in the last ten years have changed their image from being one of producing cheap hatchbacks and small off roaders to making interesting products like the Swift and the SX4. 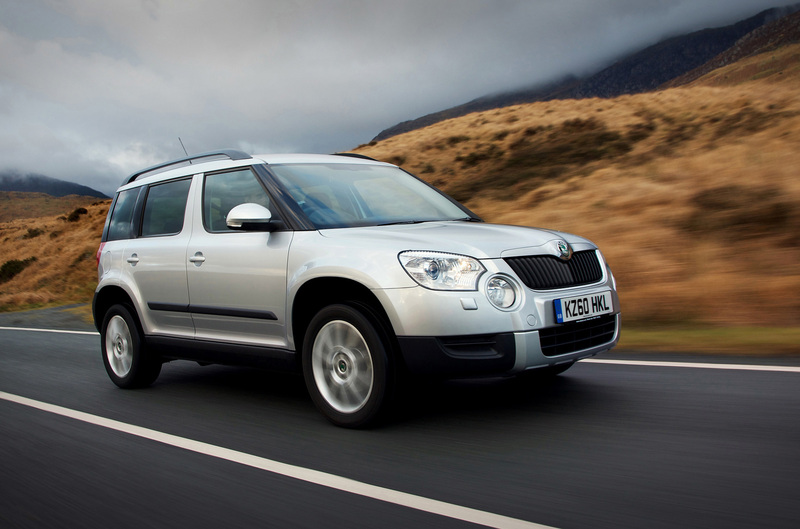 Not sure about the Yeti comparison – Skodas “Scout” models are more in line with the Streetwise. In recent times I’ve found the Streetwise rather appealing. There’s a couple of tidy ones about local to me. I think its aged better than the 25 which still has a bit of an old person persona stuck to it. Should it have been badged as a Rover? 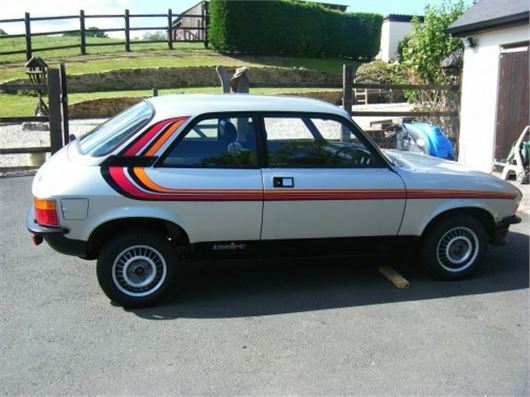 I say not, the car was crying out to be called the Austin Apache. The advert writes itself “The new Apache, from Austin tackles whatever the Wild West (Midlands) has to throw at it” with a picture of it tackling the potholes in the Lickey Hills Car Park! As for its rivals you’ve forgotten the rather natty C3 XTR from Citroen. This is the car my mother bought instead of the Streetwise, why, because Rowes Rover wouldn’t do a deal! Have owned a 2005 Streetwise for well, over a year now. Driving my sisters new Clio today and it’s not that much better, and considerably worse (seats, gear change) in some area’s. I’ve said it before (many times) but SAIC should have launched this here (as the MG3/ZR SW as they did in China) rather than the pointless TF which nobody really wanted. It would have had a wider potential customer demographic, and would possibly have kept more Rover-loyal drivers ticking over until they could have got a new range on the go. The TF was only ever going to appeal to a minority, and I think this has cost MG/SAIC a lot of ground in Europe. Drove and rode quite well too if a little leanie in the bends – dreadful quality add on trim though and a nightmare to get bodyside mouldings that matched the other plastics for colour / texture. The issue with getting bodyside mouldings that matched might have been down to MG Rover Group changing the hue for those unpainted mouldings, including the bumpers, in about May 2004. 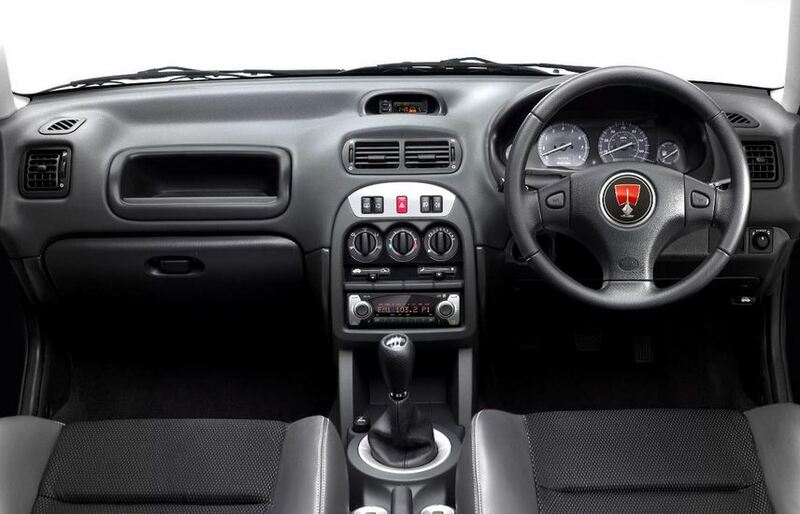 It was at this time the Streetwise adopted the new dashboard as had been introduced in the facelifted Rover 25 and MG ZR, together with the key-fob operated remote tailgate release in place of the manual press button on the tailgate panel itself. Those mouldings were also revised and finished in a much darker shade of grey that looked almost black and therefore were less prone to fading and looking tatty over time compared to the original mid grey hue. It was a sound move and it improved the Streetwise’s appearance no end, although quite why the trim was never finished like this in the first place is rather perplexing. Especially as Land Rover had already committed the same sin with the Freelander at its launch in 1997 and did not change the shade of those unpainted grained mouldings to a darker shade until the autumn of 2002. Car makers often do early running changes to benefit the product. Vauxhall launched the Firenza SL with grey plastic radiator grille mouldings before realizing that black plastic went better with most paint colours. They also set round fresh air vents in square frames on the dashboard moulding – this lasted about a year before they deleted the square frames. Spontaneously combusting ammeters were replaced with less troublesome voltmeters around 1973, but they could never keep the clocks going. Oh, sorry – am I on the wrong website? Massively outsold the VW and Citroen equivalents, possibly to people who wanted a 25, but thought the SW would have better residuals. I remember loads of these parked outside Longbridge – perhaps they did screamingly good lease deals a la Pontiac Aztek ($50 a month, according to my mate in Detroit). Citroen Cactus seems to be following Rover’s lead. Not a bad deal for young drivers. In the SE you get the “leather and alloys” and not bad performance in a cheap car with fairly low insurance grouping. 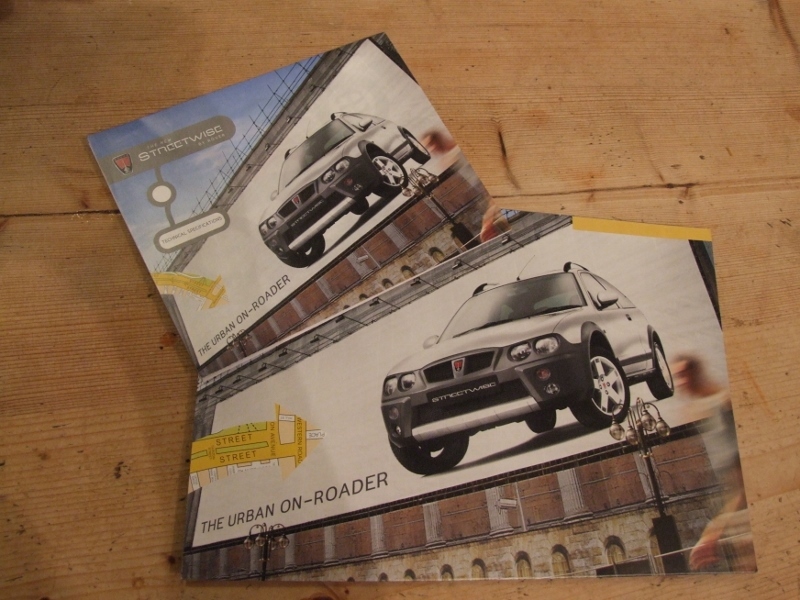 Does anyone remember entering the ‘November to Remember’ competition in November 2003 to try and win a Streetwise? You had to go down to your local MG Rover Group dealer, fill out an A5-size form and hand it over. It would then be put into a central pool, with one entry being pulled ‘out of the hat’ every day in November. The actual prize was an entry level 1.4 base model 3-door complete with those ugly (and thankfully rare) steel wheels. However, for an additional outlay by the winner, they could go for either an upgraded model or specify some options. I sadly never did win, despite entering six times, although I do know of someone whose wife did and by all accounts she loved her prize. Although I never cared for the Streetwise when launched, this article has made me warm to it. Those chunky & rugged looks are more appealing in hindsight. I only ever saw a handful on our roads though. The standard 25 was preferred by me though I never owned one of those either. More details about it can be found on the ‘Pride of Longbridge’ Facebook page as posted by me. It’s pretty much an identical concept to the Dacia Sandero stepway. It’s a standard car with jacked up suspension and some extra grey plastic bits. Maybe the streetwise was just ahead of its time.